These literary masterpieces are made easy and interesting. This series features classic tales retold with color illustrations to introduce literature to struggling readers. Each 64-page hardcover book retains key phrases and quotations from the original classics. Have you ever wondered what it would be like to go back in time, knowing what you know now? 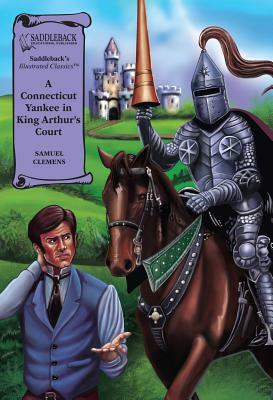 That is the story of a Connecticut Yankee who is magically transported back to King Arthur's time. But with the knowledge of modern technology. Will modern technology win out over the magic of Merline, the court magician?